We, at Astro Vastu Research Center, are a group of astrologists who united 5 years back with the aim of fulfilling people’s life. 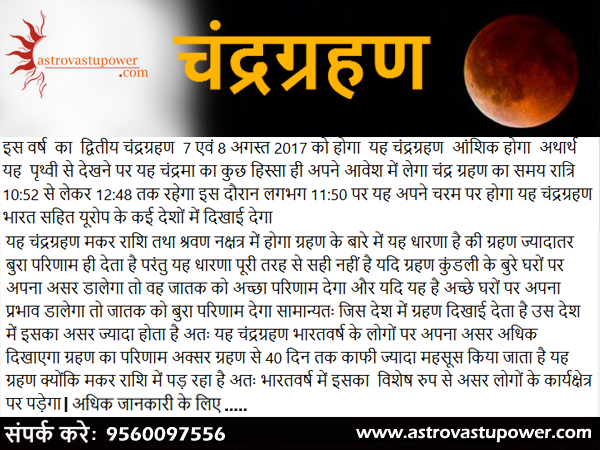 Unlike traditional and irrational ways of foretelling, we adopt scientific methods by unleashing the power of Astrology and Vastu. This year will start on a positive note and will be good for economic growth. After the first quarter, growth in business will be seen, as government will be taking major decisions to facilitate them. On the job front also this is a good year. A policy shift by the government will be positive for crops and petroleum products. Government will face major challenges and lots of criticism. Non-productivity or low-productivity of the government will be highlighted by people and the government will have to justify their actions or decisions. A female leader is expected to come at the fore and bring about a positive turn of events. 2018 will be the year of Spirituality and Dharma. A major shift towards discerning Dharma will be seen. Spiritual places like temples, mosques and churches will form a major part of the lives of public. This year will be good for Manufacturers and Traders in our Country. A good year for Startups. Stock Market will see new heights this year, although this year is of swings. Our Successful Predictions for the Year 2017. This year is year of swings in science and economy. This is a year of significant New researchers, which will be helpful for society. World Economy will face swings multiple time in this year and for correcting economy, Govt. will use conventional methods. First Three Qtrs. of the year, World will experience lot of pressure of terrorism and violence. War or War like situations may occur. Weather will also surprise all of us and due to this, diseases will be more. Good Year for Doctors, Consultants. They will earn lot of Money. Entertainment industry Will also experience the Good Time. Govt. in various countries will take some BOLD decisions and due to this some politicians may face challenge and May lose their position. This year is for SOLAR ENERGY and Earth Quake. India will lose few important and renounced politicians. Business will grow in this year; Peace and happiness will be restored. Govt. may take some strong decisions. Neighboring countries will face heat after second quarter. After 15th Aug, economic growth will be more. Changing Religion will cause issues in this year. Indian Govt. may change some of policies related to economy and because of that confusion may arise. Major Terrorists Attacks may also happen. Yellow, Brown, Orange color will be more in Fashion. Whenever Govt. officials will use these colors. They will take BOLD decisions. Over all this is an average year. Public will experience SWINGS and Confusions. In the beginning of this year I had made general predictions keeping the global scenario in mind. The year is almost coming to an end and I am sharing various happenings around the world, specifically in India. When you read it in correlation with the predictions I had made, I am sure a link can be seen. Harvard University scientists figured out how to turn hydrogen - the lightest of all elements - into a metal, a feat studied by researchers for nearly 100 years. A new drug, Evolocumab, is shown to prevent heart attacks and strokes by dramatically cutting bad cholesterol. Human blood stem cells are grown in the laboratory for the first time by researchers at Boston Children's Hospital. The first synthetic retina using soft biological tissues is created by a student at the University of Oxford. 2) 2017 had an unprecedented number of terrorist attacks, especially Europe. Brussels, Paris, London and Stockholm bore the brunt. In August 2017 China and India were almost on the brink of war. Both Chinese media and officials issued warnings to India. Thankfully political diplomacy by Indian government averted the threat. From August to September there were threats of escalation by North Korea and a war seemed imminent. 4) India’s biggest economic reform – GST was launched on 1stst July 2017. A sense of confusion and insecurity hit small and medium businesses. 5) India’s solar energy has been expanded by a record 5,525 MW and as of April 2017 stands at 12,288.83MW. US, Europe and China have also increased solar energy output. More than 250 died in Gujarat floods in July. More than 450 died in Nepal and India floods in August. Cyclone Ockhi hit Kerala and Tamil Nadu in December. Veteran theater and movie artist Tom Alter. Senior Congress Leader Priya Ranjan Dasmunsi. Former Manipur Chief Minister and member of the first Lok Sabha Rishang Keishing. Eminent space scientist Udupi Ramchandra Rao. Former Chief Justice of India Prafulchandra Natwarlal Bhagwati. Renowned Hindustani Classical singer Kishori Amonkar. Veteran Actor and Padam Shree winner Om Puri. Veteran Actor and MP from Gurdaspur Vinod Khanna. इस वर्ष का द्वितीय चंद्रग्रहण 7 एवं 8 अगस्त 2017 को होगा यह चंद्रग्रहण आंशिक होगा अथार्थ पृथ्वी से देखने पर यह चंद्रमा का कुछ हिस्सा ही अपने आवेश में लेगा. चंद्र ग्रहण का समय रात्रि 10:52 से लेकर 12:48 तक रहेगा. इस दौरान लगभग 11:50 पर यह अपने चरम पर होगा. यह चंद्रग्रहण भारत सहित यूरोप के कई देशों में दिखाई देगा.